They call it, “Loud Sisters.” We call it … cool! And we are thrilled to announce a new partnership with this wonderful company, which donates a hefty percentage of sales dollars to charity. Nonprofits that, yes, now include the Humanity Project. See that design in the pic above? That’s the first original design to benefit us. 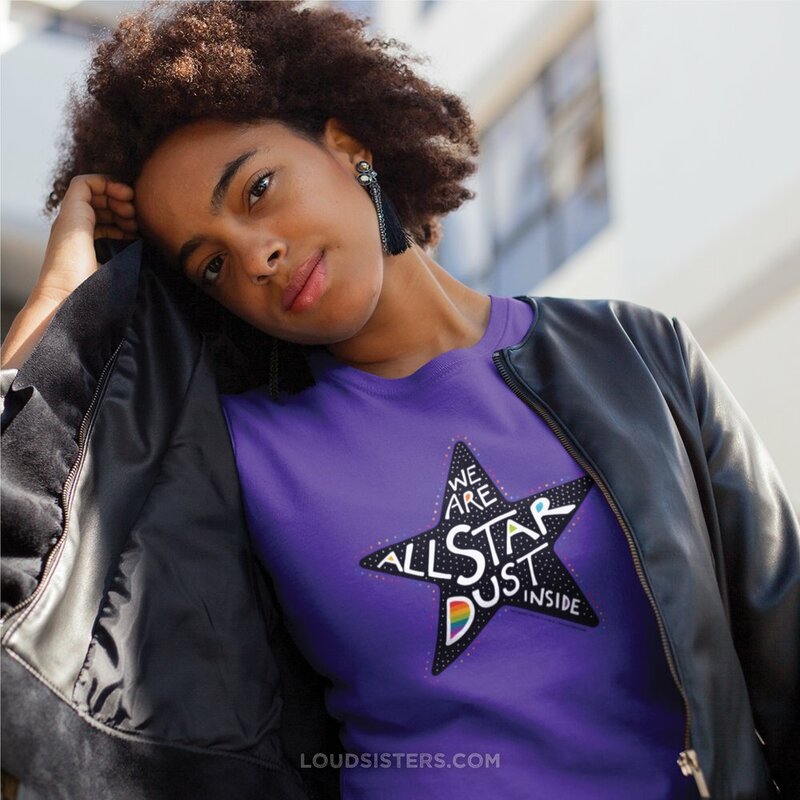 It’s now available on a wide range of shirts through the Loud Sisters Shop: Click here for the Loud Sisters stardust page. You also can learn more about Loud Sisters and find their many other designs on both Facebook (click to visit the Loud Sisters Facebook page) and Instagram (click to visit the Loud Sisters Instagram page). How cool is that? An awesome reminder that everyone is, well, awesome! Molly Seabrook is the creative and socially conscious entrepreneur who founded and runs Loud Sisters — an amazing woman of many talents who has lived all over the world, including China and Australia. Now based in North Carolina, Molly and her company put out inspiring original designs that promote equal rights. Gender equality is a special concern of Loud Sisters, as it is here at the Humanity Project. Also notice the rainbow cleverly worked into the Loud Sisters stardust design, a nod to the LGBTQ community that the Humanity Project supports actively. We think Loud Sisters and the Humanity Project are a natural partnership. 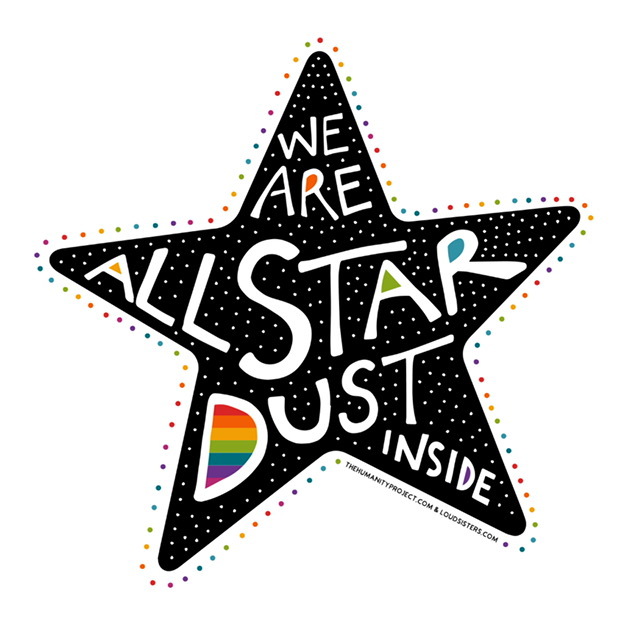 One more thing worth knowing about the new Loud Sisters design above, “We are all stardust inside.” It’s based on an original color illustration created by one member of the Humanity Project’s all-girl student leader team, the Humanity Club. So we must offer a shoutout to Alexis, a very bright 5th grade student who came up with the concept. Our Humanity Club program teaches children that every human being is made mostly of stardust, something science knows to be true. Elements in our bodies such as carbon, iron and oxygen can’t be made any other way than during the extreme process of fusion within stars. That fact inspires children to understand every human being is equally valuable.